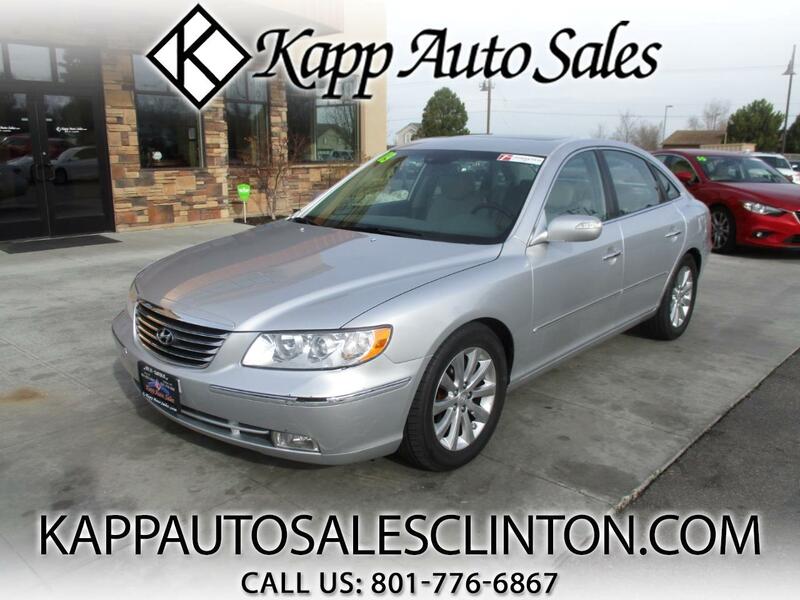 **FREE 3 MONTH/3,000 MILE WARRANTY AT LIST PRICE** CHECK OUT THIS SUPER NICE 2009 HYUNDAI AZERA LIMITED WITH ONLY 79K MILES!!! THIS CAR RUNS AND DRIVES GREAT AND COMES LOADED UP WITH LEATHER INTERIOR, HEATED SEATS, PWR WINDOWS, LOCKS, MIRRORS, PWR SEATS, ADJUSTABLE PEDALS, PWR TELESCOPING STEERING COLUMN, STEERING WHEEL CONTROLS, AUX AND USB PORTS, AUTO CLIMATE CONTROL, PWR REAR SHADE, SUNROOF, ALLOY WHEELS, AND MUCH MORE!!! Message: Thought you might be interested in this 2009 Hyundai Azera.